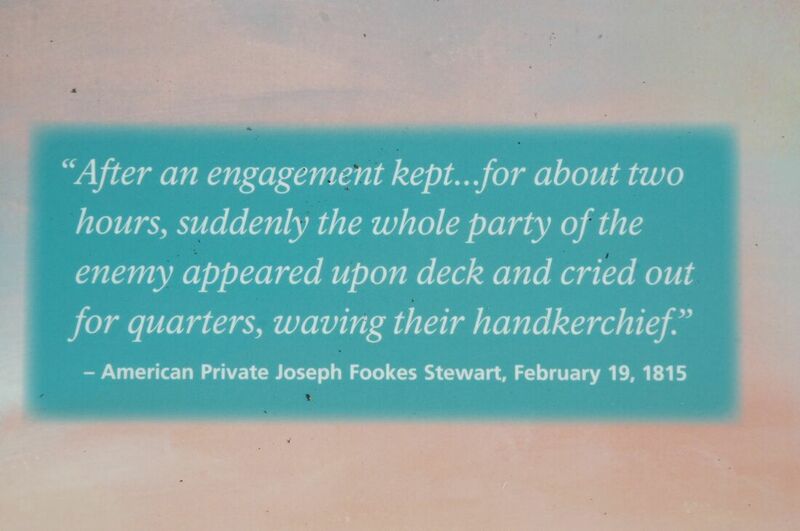 During the War of 1812 a skirmish between the local militia and the British took place off of James and Taylors Islands on a very cold Feburary day. 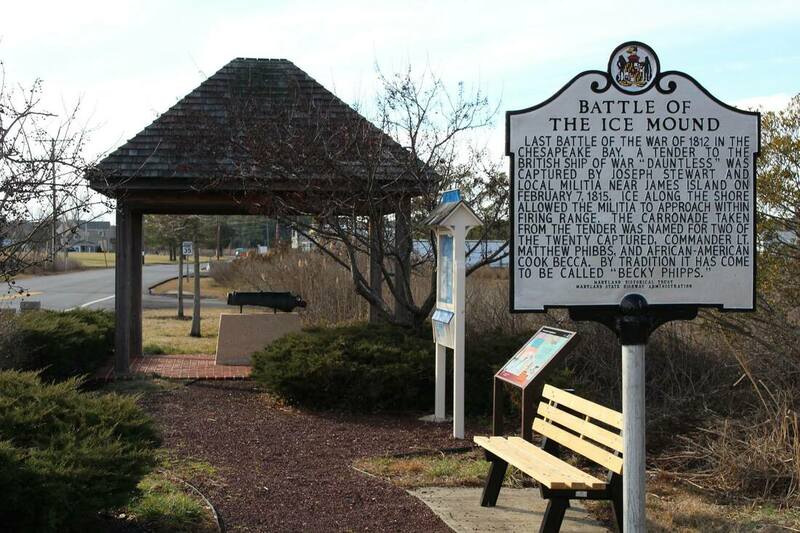 During this skirmish a huge ice mound developed which prevented the British from retreating from the area. The British tender, its crew and munitions were captured. The "prize" of the capture, the cannon, was named the "Becky Phipps" by the local militia. It was so named after the Lieutenant of the British ship "Matthew Phibbs" and "Becky" a black woman who served as the vessel's cook. The name of the cannon has always had an incorrect spelling of “Phipps”. For many years the cannon was in the possession of the Spicer family and was frequently fired in celebration of local and national events. According to newpaper reports the cannon was fired for the last time in 1912. It was reported that the cannon was overloaded and exploded when fired in celebration of the election of President Woodrow Wilson. In 1950, through the efforts of the Daughters of the American Revolution and a few local citizens, the remains of the cannon were collected and located to its present site. 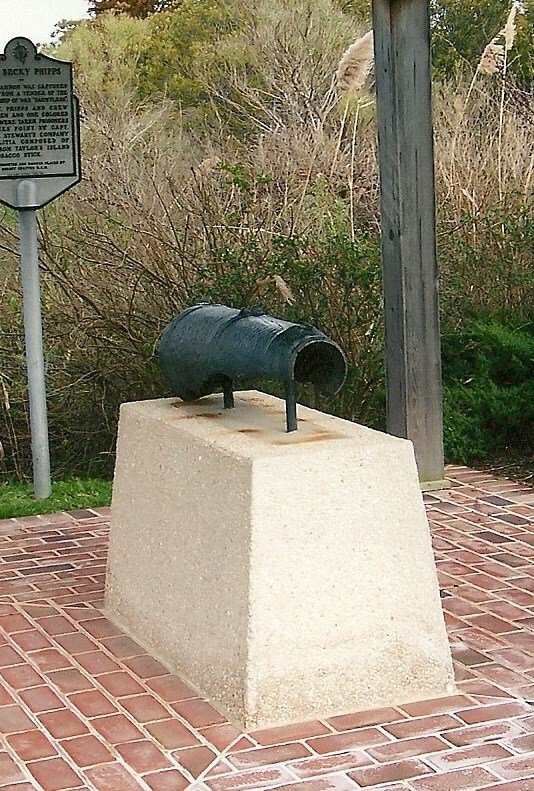 The cannon and its foundation were renovated by the Maryland State Highway Administration in 1999 in conjunction with the building of the new Taylors Island bridge. The Grace Foundation is responsible for the cannon and the land on which it is located is maintained by the State Highway Administration.